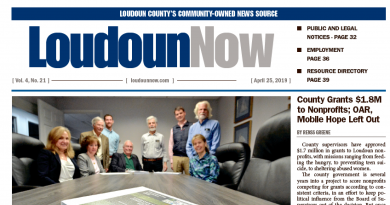 Nearly 400 people gathered in Leesburg on Monday to celebrate the 70th anniversary of the Marshall Plan and to reflect on its impact in modern times. Named for George C. Marshall, this plan provided Europe with $13 billion in aid following World War II. Its passage was a show of bipartisan cooperation: A Republican Congress created the legislation and a Democratic president signed it. During Monday’s symposium at Marshall’s Leesburg home, American and European diplomats and scholars discussed the historical significance of the plan and its continuing importance. Former U.S. Secretary of State Madeleine Albright gave the keynote address. The daughter of a Czechoslovakian diplomat, she was still living in Europe during the early months of the Marshall Plan’s implementation and saw its immediate effects first-hand. She said one of the most striking aspects of the plan was that it did not have a “made in America” stamp on it. She said its legacy of inclusion unified western Europe and helped plant the seeds for NATO. She credited Marshall for realizing America could not be prosperous unless its allies were, too. “No country in the world needed to be left out of the global community we were building,” she said. Marshall’s legacy influenced Albright as she served as President Bill Clinton’s secretary of state from 1997 to 2001. She said it was the honor of her life to work to rebuild Europe again, following the Cold War and the fall of the Berlin Wall. But since then, she said she has seen a change in the way diplomacy is going. 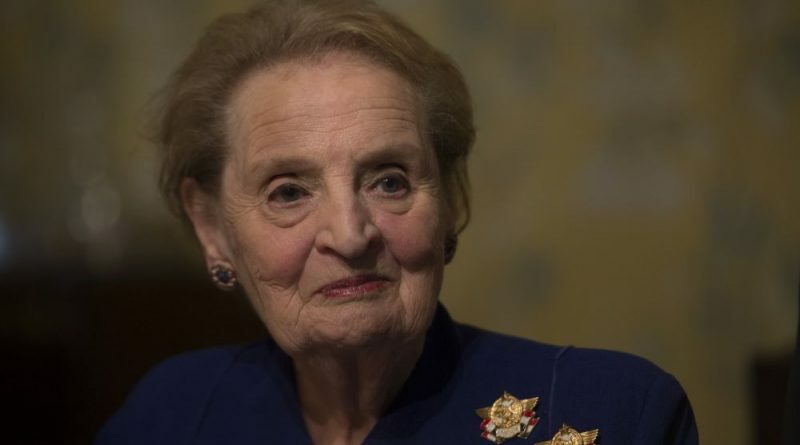 While she said she did not want to make her speech partisan, Albright noted that she was concerned that America is ignoring the lessons of history. She said the Marshall Plan was a “world first initiative,” as opposed to the “America first” rhetoric that is present in today’s politics. The symposium also featured roundtables about the origins and legacy of the Marshall Plan and its relevance as it relates to security and reconstruction. The morning session explored the establishment of the Marshall Plan, and how it came about—in less than a month led by principal author George Kennan under Marshall’s direction. How important was the American investment? One German attendee told the group that she remembered times of starvation in Berlin when the only “money” available was cigarettes. Another highlight was an hour-long panel discussion, moderated by David Ignatius of The Washington Post, that looked to the emerging new world order. The panelists agreed the U.S. would continue to have a leading role, but one focused on developing networks and coalitions. The greatest global challenge today, they said, was youth unemployment that provides a fertile breeding ground for terrorism.